380 pages | 17 B/W Illus. 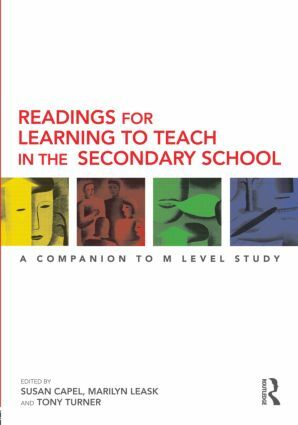 Readings for Learning to Teach in the Secondary School brings together key articles to develop and support student teachers' understanding of the theory, research and evidence base that underpins effective practice. Designed for all students engaging with M Level study, each reading is contextualised and includes questions to encourage reflection and help you engage with material critically. Annotated further reading for every section supports your own research and writing. Edited by the team that brings us Learning to Teach in the Secondary School, this Reader is an indispensible 'one-stop' resource that will support all students studying, researching and writing at M level on PGCE courses, as well as those on all other secondary education courses and masters degrees.